I love writers who write about human emotions, and through their explorations, help me to understand feelings I have had but might not be comfortable discussing with other people. One of these feelings is loneliness, a universal feeling that we have all experienced to a greater or lesser degree at one time or another but have difficulty confessing. In The Lonely City: Adventures in the Art of Being Alone, Olivia Laing investigates what it’s like to exist in a “state of lack” in a crowded city surrounded by millions of people. In this blog I discuss how Laing looks at loneliness from many different angles to help herself and readers understand and accept that feeling. In the Writers’ Notes I offer suggestions for writing about feelings and emotions, based upon Laing’s approach. British writer Olivia Laing became one of those snails after a romantic relationship that lured her from England to New York City fell apart. Laing found herself living a solitary existence, a victim of urban loneliness. Her response was to begin analyzing her own feelings and researching a topic considered socially taboo. The result is a book that is part memoir, part research, and part critical investigation into how various artists have interpreted this very human condition. “What does it feel like to be lonely?” Laing writes. “It feels like being hungry: like being hungry when everyone around you is readying for a feast. It feels shameful and alarming, and over time these feelings radiate outwards, making the lonely person increasingly isolated, increasingly estranged” (p. 11). Loneliness becomes even lonelier for those who experience it in our society and fear sharing their feelings with others because, according to Laing, “it feels like such an experience, so counter to the lives we are supposed to lead, that it becomes increasingly inadmissible, a taboo state whose confession seems destined to cause others to turn and flee” (p. 25). Laing’s research demonstrates that loneliness can lead to a host of other mental problems, including withdrawal, self-consciousness, self-doubts, depression, anxiety, shame, embarrassment, and panic. Studies have linked loneliness with shorter lifespans. But Laing disagrees with Robert Weiss, whose 1970s research into the topic of loneliness led him to conclude that it is a “chronic disease without redeeming features.” Instead, she writes, “I don’t think any experience so much a part of our common shared lives can be entirely devoid of meaning, without a richness and a value of some kind” (p. 4). 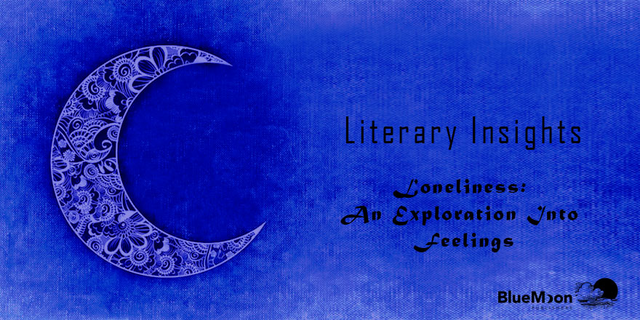 In writing The Lonely City, she set out to find that meaning. Memoirs can be based upon common human experiences. I was having an experience, and at the same time I could feel that it was a taboo experience. It was something really shameful that people didn’t like to talk about, and suddenly realising that made me think this is a whole incredibly exciting subject that isn’t touched. People haven’t gone there. People haven’t shone a light into it. Art can be used as a way of looking at feelings through different lenses. Although Laing chose visual art as her primary medium for exploring loneliness, she also included the art of musicians and filmmakers as well. The mixture of artistic criticism and personal life experiences makes for an interesting “hybrid” approach to understanding feelings. Writing about personal feelings exposes writers’ private lives to the world. Writing about feelings is strengthened with research. Laing’s memoir would not be nearly as impressive had she not included research on the topic (an extensive bibliography is included). It is the rich blend of personal experiences, research, and art criticism that gives The Lonely City depth and interest. How do you approach writing about personal feelings or loneliness?